Unfortunately, I feel we live in a time and culture where sedentary lifestyles are the norm and being in an office or having to sit all day equates to more health problems. Your work helps you survive by providing money, but it shouldn’t put your health at stake. CubeFit wants to help make being at work beneficial on all accounts and I really like this company. This is not me promoting a “stand all-day” apparatus suggesting you do not sit. 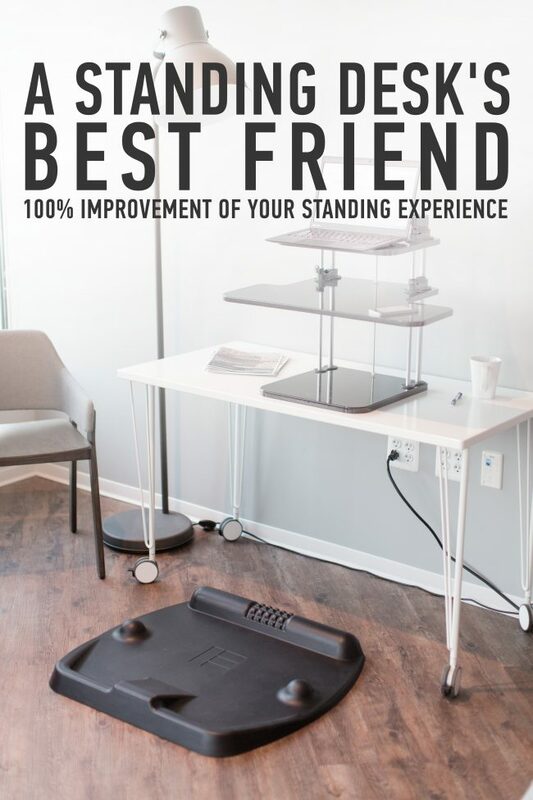 Read on and you will see how THAT is a huge misconception with scientific evidence to back this very point up and how this work station alternative fits in! Their vision is to educate anyone who works in an office about the detrimental effects of excessive sitting AND standing. They want to bring a lifestyle of fitness, movement and health into the office and make people’s time in their workplace work for them not against them. 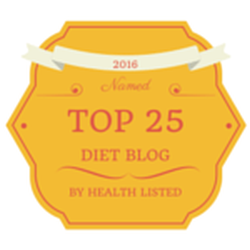 This all sounds great to me and works great with my paleo lifestyle! How many of us go to work and sit or stand all day only to find that when the day is over we are too tired to exercise? We don’t really realize it, but that lifestyle takes a big toll on our health. This irks me. CubeFit is a really cool company that offers a way for us to live a more active lifestyle even while we’re working by using their desk mat. CubeFit was founded by two engineers, a designer and a personal trainer. CubeFit uses intentional design and innovation to create healthy office products that help people make their office hours work for them not against them! The World Health Organization estimates that 95% of the adult population is inactive (meaning they fail to engage in at least 30 minutes of moderate physical activity five times a week). 80% of Americans suffer from LBP (lower back pain), a condition associated with muscle tightness and inactivity caused by sitting. Recent studies have found that even vigorous exercise won’t counteract the negative effects sitting for 5+ hours a day has on your body. Each extra hour of sitting time per day is associated with a 22% increased odds for type 2 diabetes. (results are independent of high-intensity physical activity, like exercise). Compress the spine and lead to lower back problems (wait, we thought it was just sitting that did that?). Boost your risk for carotid arteries, varicose veins, deep vein thrombosis. Increase risk of cardiovascular problems since your heart has to work against gravity to keep blood flowing. So if sitting is clearly detrimental, and standing all day is now out too, what’s the solution then? A common misconception is that simply standing all day instead of sitting is the complete solution. Unfortunately, this couldn’t be further from the truth. Our bodies were designed to be mobile and in constant motion, not stagnant in one position for hours at a time. 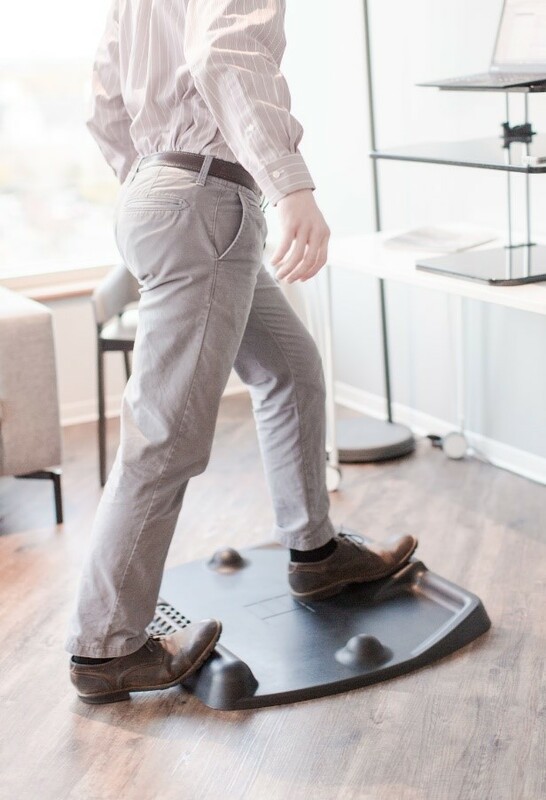 CubeFit believes the solution to fighting the consequences of a sedentary lifestyle lies in a combination of sitting, standing, moving, fidgeting, bouncing, strengthening and stretching. 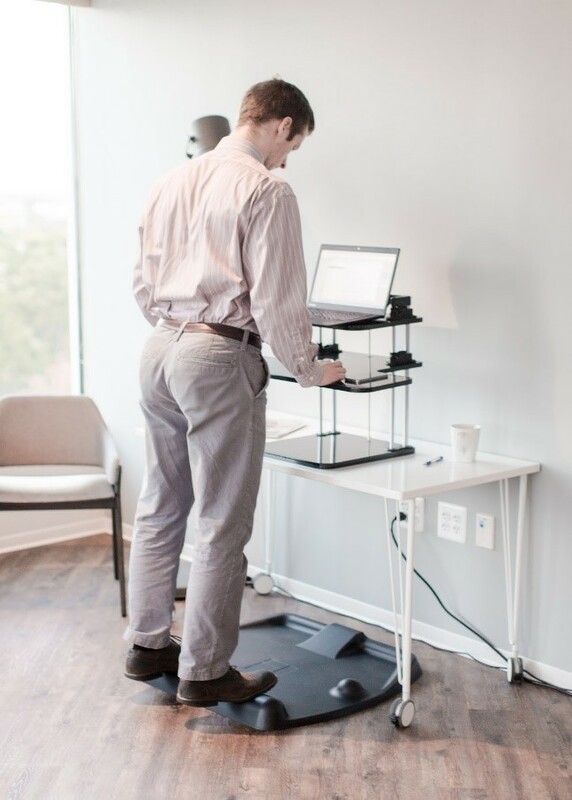 To incorporate this into a person’s life, CubeFit created a standing desk that helps people maintain constant motion throughout the day to stay healthy, prevent back problems, and live an overall active lifestyle. 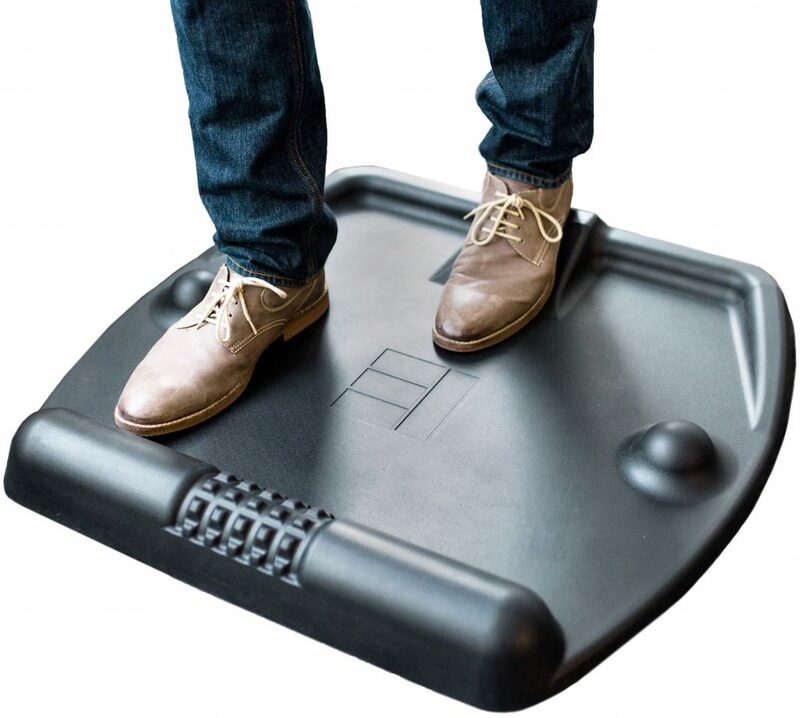 Anti-Fatigue Mat: The flat space between the massage mounds offers enough room for both feet in a comfortable neutral stance for when you just want to stand “normally”. Massage Mounds: Help put therapeutic pressure on the arches of your feet and keep you bouncing and moving (this is my favorite feature!). Power Wedge: Gives you a built-in platform to get a great calf stretch. Balance Bar: Standing on the balance bar engages your core and offers a platform to do calf raises. 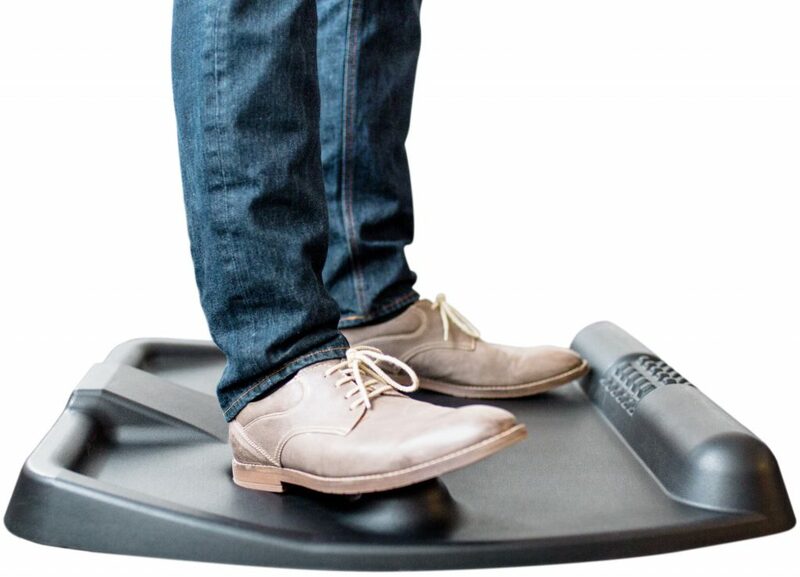 Pressure Peaks: They’re like having your own in-house masseuse work out tension in your feet! Support Track: Offers additional terrain to vary your stance and a great anchoring support for hip flexor stretches. Here are a few examples of how you can use the TerraMat. While the person shown is wearing shoes, you can also go barefoot to get more out of the massage mounds and pressure peaks! 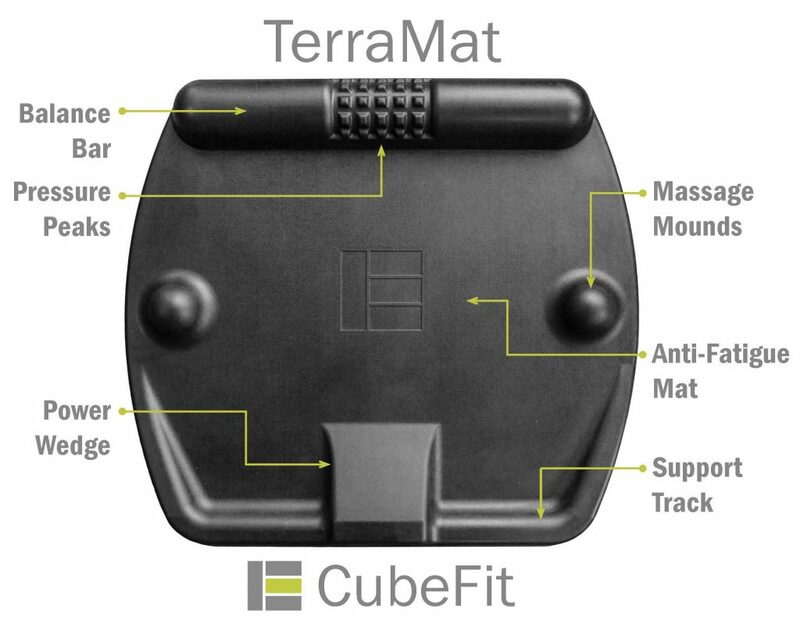 Especially for PaleOmazing readers, CubeFit is extending a generous 15% discount on their TerraMat. Visit their Amazon checkout page and enter the following coupon code in all caps: TINAMAT1 to take advantage of this amazing offer! Who are the Founders of CubeFit and Why am I Sharing This About Them? I find that behind every ethical product there are people who wanted to make a difference. The stories I read about the founders are fascinating to me. It seems like every person has a story that draws them to a life change in the field of health, nutrition or in helping others. In this case, it happens to be two husband and wife teams. Check these guys out! CubeFit is comprised of two husband-wife teams. 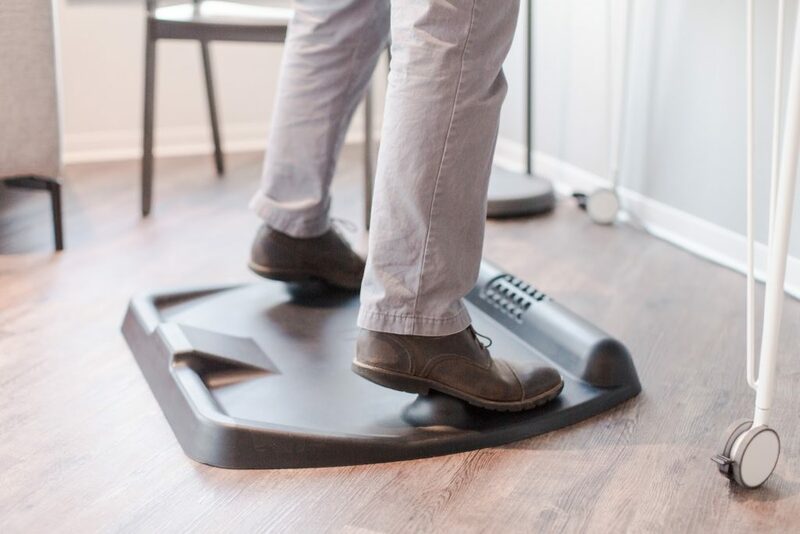 After both couples experienced their own repercussions of too much standing and sitting, they decided to do something about it and help men and women prevent injuries. They’re friends first, business partners second, and the entire CubeFit team is active and passionate about helping other people lead healthy and holistic lives. Gerald and Michelle are Virginia Tech graduates who met on campus during college. Gerald is a mechanical engineer and Michelle is an interior designer with a specialty in dynamic school and workplace design. A few years into working behind a desk, the valves in Gerald’s left leg started to fail from too much pressure due to prolonged periods of standing. He thought that transitioning from sitting all day to standing all day was the answer, but his time in the hospital told him otherwise. His experience was a big motivator in creating the TerraMat. Ben is a graduate of the United States Air Force Academy and Northeastern University where he obtained degrees in computer engineering and computer science. Camille attended Boston University and graduated with a Masters in public relations and nonprofit management. Camille is also a certified personal trainer and suffered a debilitating knee injury during a half marathon as a result of excessive sitting at the office. These two husband-wife teams are great examples of turning an unfortunate circumstance into something very positive that not only helps themselves, but helps restore exercise and health to several people around the world.